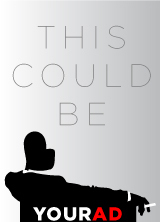 The hilarious Hollywood-by-way-of-the-Deep-South story of a daughter who became an actor to win her mother’s love only to discover the one thing she had to do to succeed was stop acting. 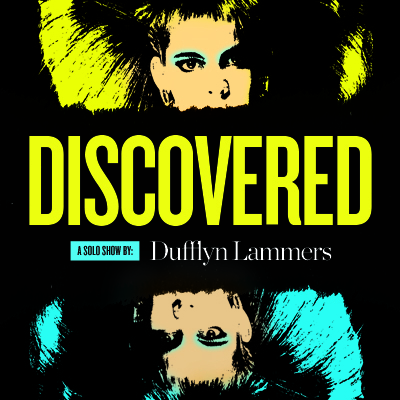 “Discovered” is a poetic, comedic, autobiographical solo show narrated by Dufflyn Lammers who also inhabits a cast of oddball supporting characters including her own mother—a Blanche Du Bois meets Miss Havisham type who has abandoned her young daughter to chase fame and fortune. Dufflyn grows up desperate for Mama’s attention and confused by her skewed—but entertaining— version of reality. At the unlikely age of thirty-two Dufflyn breaks free and sets out for Hollywood to pursue the same grandiose dreams Mama was after, but she actually has some success! As she builds her career she struggles with her own demons but ultimately realizes the greatest obstacle she faces is her mother. It is the craft of acting itself that teaches her in the end that the one thing any good actor must first be able to play is herself. Lammers is best known for her unique brand of “page-to-stage” spoken word, combining profound insight and shameless comedy. In this fearlessly personal show, she explores addiction, identity, family history, and the ultimate truth of unconditional love. She is a veteran performer, having appeared on Russell Simmons Def Poetry Jam on HBO, lead her team to the National Poetry Slam five years running, and brought her poetry show to Universities throughout the US. She has also appeared in BELLY from Artisan Films, and on CRIMINAL MINDS (CBS), ENTOURAGE (HBO), and in countless commercials and independent films. In 2011 Lammers wrote, produced, and starred in the short film “Raven” which won Best Experimental Short at the LA International Underground Film Festival. Lammers has developed a workshop using improv, writing, and meditation exercises that will help anyone to discover “The Hardest Role To Play,” (yourself). The workshop is valuable for anyone wishing to create a solo piece or to redefine their own authentic identity. She will take this show to festivals as well as addiction treatment centers and conferences in 2017.